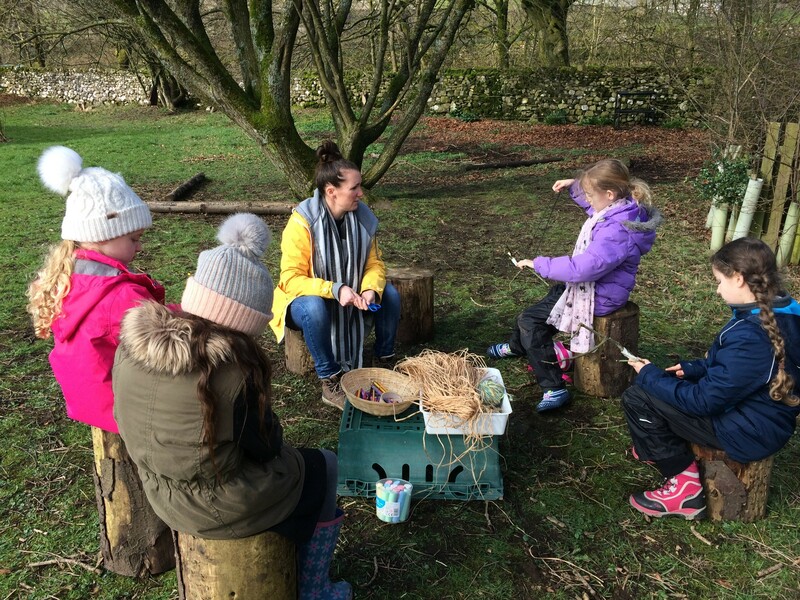 Schools Out has had a wonderful Spring, welcoming many of the younger children from the Stories in Stone area to farms near Selside and Settle. 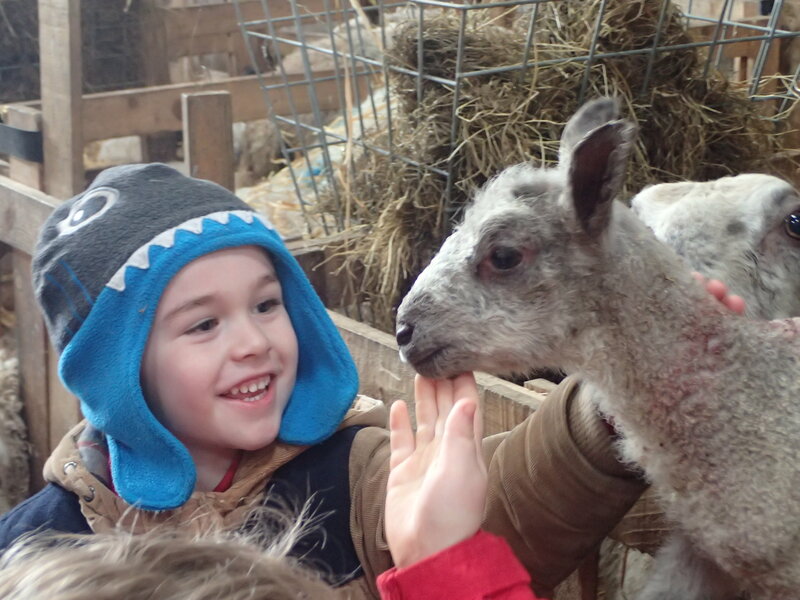 Children have seen lambs being born, found out what cows eat in winter and made their own tasty sausages! Over the last year, the Schools Out programme has been delighting local schools with an ever increasing range of opportunities to get outside the classroom and engage in the beautiful and fascinating area that they live in. Pupils have been archaeologists, Roman soldiers, botanists, zoologists, cavers, walkers, felters, farmers, construction workers, conservationists, and of course they have been allowed to have fun and just be children! Ingleton school recently visited Ingleborough Cave exploring both below ground and above. They heard the ancient stories of the rocks that make up our unique landscape. Now fascinated by small pieces of limestone, their parents will have to check pockets for this ancient rock before it rattles around in their washing machines! 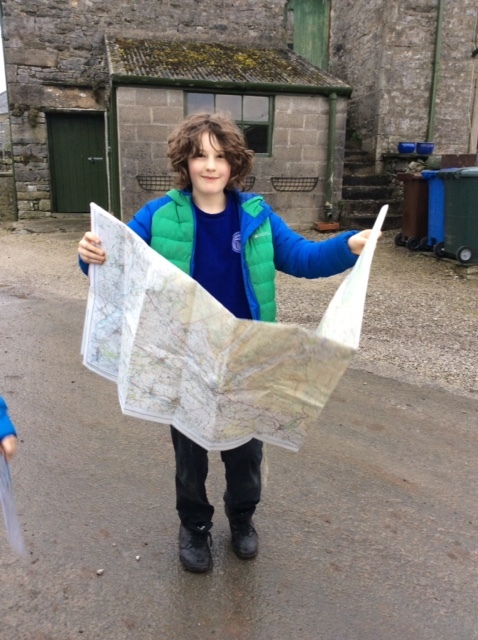 Clapham and Horton-in-Ribblesdale schools joined forces and through fun and games learnt to find their way around using maps. They became quite expert at interpreting the features and could probably teach the adults a thing or two! Further afield we have been delighted to link with a school from Lancashire and coming soon a large Bradford school. Pupils will be able to showcase their wonderful environment and find out the similarities and differences of countryside and city living. This work is part of Stories in Stone, a four-year programme of community and heritage projects developed by the Ingleborough Dales Landscape Partnership, which is led by YDMT and mainly funded by National Lottery players through the Heritage Lottery Fund. Thanks to this support, primary school pupils have been able to access all of these opportunities travelling by bus, train and by foot. I’m looking forward to facilitating more work outside the class room in the future. Watch this space!